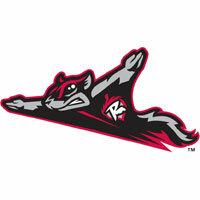 The Richmond Flying Squirrels (77-63) set a new franchise record for wins in a season with a wild, 7-6, walk-off win over the Binghamton Mets (83-57) in front of 8,864 at The Diamond on Saturday night. The Squirrels 77th win of the year allowed them to eclipse the mark of the 2011 Squirrels. That team finished at a mark of 76-66. Richmond is still unsure of their playoff opponent, as neither Bowie or Akron’s games were complete. Trailing 6-4 to the bottom of the ninth inning, the Squirrels rallied against right-hander Randy Fontanez. Fontanez foreshadowed what was to come when he walked Mario Lisson to open the frame. Kelby Tomlinson then delivered his third hit of the night – a single to right field. Elliott Blair then attempted to lay down a sacrifice-bunt. Fontanez fielded the bunt and attempted to go to third. However, the ball was muffed and rolled into left field. Lisson scored on the error as Tomlinson took third. Blair wound up all the way at second base, representing the winning run. Fontanez then uncorked a wild-pitch to bring in Tomlinson and tie the ballgame, 6-6. Blake Miller then played hero, lining a game-winning single to the left-field corner. Fontanez (0-1) took the loss for Binghamton. The B-Mets grabbed the early lead with a second-inning run off of lefty Jack Snodgrass. Travis Taijeron opened the inning and crunched a double through the left-center field alley. Dustin Lawley followed with a single to left field to put runners at the corners. Juan Centeno then grounded into a double-play, but Taijeron scored for a 1-0 lead. The Squirrels snared the lead in the fourth inning, plating three runs against righty Rainy Lara. Angel Villalona got the inning started with a lead-off triple to right-center field. An out later, Tyler LaTorre tied the game, 1-1, with a sacrifice-fly to center field. The Squirrels played small-ball from there, as Skyler Stromsmoe reignited the inning with a two-out single to left field. Snodgrass then aided his own cause with a single through the left-side of the infield. Tomlinson rolled an infield-single to score Stromsoe. Second baseman T.J. Rivera made a throwing error on the play that allowed Snodgrass to take third base. That proved costly, as Lara picked off Tomlinson from first base. However, while Tomlinson was in a rundown, Snodgrass pranced across for a 3-1 advantage. Richmond tacked on a run prior to Lara’s departure in the fifth inning. Miller lit the way with a one-out triple yanked to left-center field. Devin Harris followed and pulled a double up the third-base line. Miller scored for a 4-1 lead. Lara called it a night after five innings. He conceded four runs – three earned – on nine hits. He walked two and struck out three. He did not register a decision. Snodgrass breezed through his final postseason tune-up, needing just 65 pitches to toss six innings. He had conceded just the lone run on four hits. He walked one, struck out two and was denied his 12th win of the year. Binghamton seemingly grabbed control of the ballgame with a five-run eighth inning. Four of those runs were charged to lefty Ryan Bradley, who faced four batters and didn’t record an out. Three men reached with singles, while Bradley hit the fourth to force across a run. Right-hander Jose Casilla entered, but couldn’t contain the damage. Taijeron greeted Casilla with a two-run single, followed by an RBI single from Lawley. The final run in the inning scored on a double-play, and Binghamton led, 6-4. Right-hander Carlos Alvarado (2-0) worked a scoreless ninth inning to earn the win, his second in the Eastern League. Game three of the four-game series is scheduled for 1:35 p.m. on Sunday afternoon at The Diamond. Richmond LHP Ty Blach (8-8, 3.29) will make the start against Binghamton RHP Gabriel Ynoa (3-2, 4.70). The Flying Squirrels Pregame Warmup will begin at 1:05 p.m. on Sports Radio 910 and SportsRadio910.com.